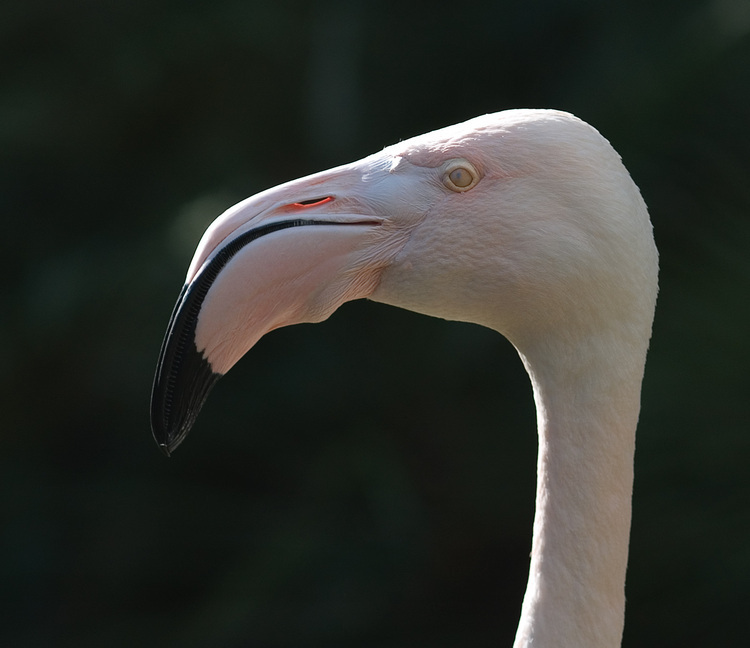 A flamingo at the Adelaide Zoo. Details: Nikon 105mm 1:2.8 macro, f/4, 1/800s, ISO 200, crop. I have never seen a flamingo this close. Whoa! They're strange looking. Excellent detail! woah. yeah, his eye does look somewhat odd. cool shot. Looks like its eye may have a protective 'shield' down - great detail along the partly opened mouth...the 'filters' are quite visible there.